sewhungryhippie: Keeping Them Busy Series- it's Friday! Keeping Them Busy Series- it's Friday! I'm a child of the 80's and I used to love those candy necklaces you could get at the dime shop. Do you remember those things? We made our own "candy necklaces" out of cereal-Fruit Loops. 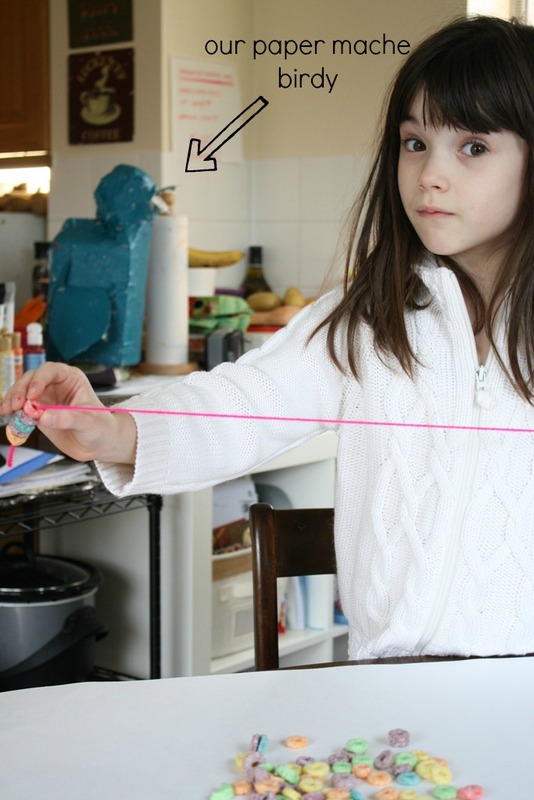 We used pink neon yarn as our string and then just loaded it up. 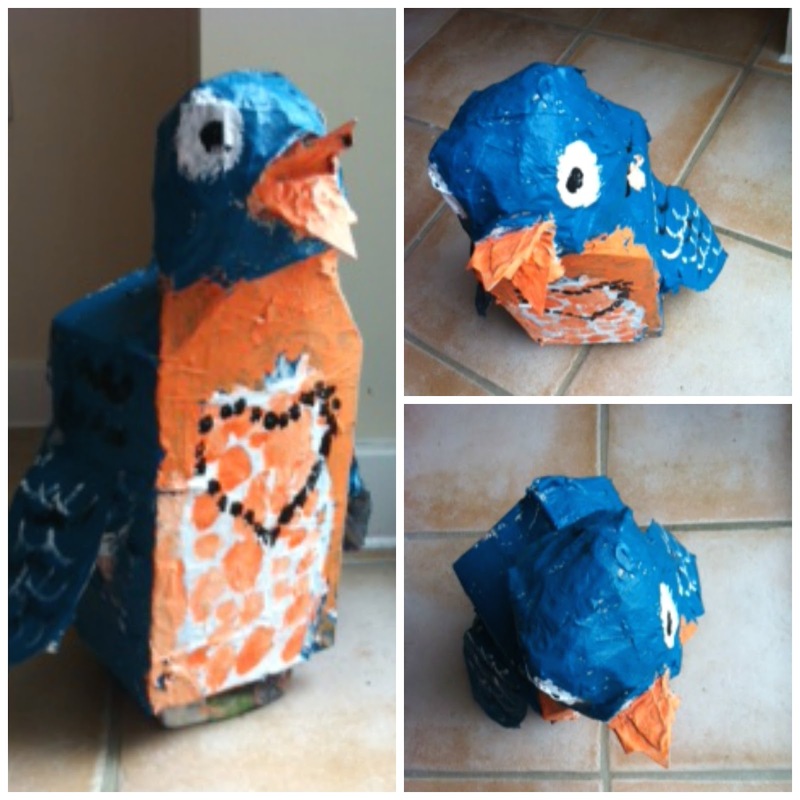 Make a crazy paper mache bird or animal out of recycled cardboard cereal and cracker boxes. Most of the fun is in the process, not necessarily the end result. Mia kept asking me if I knew what I was doing. I told her "No, not really...but there are no rules in art class". After construction, we paper mached this baby up. Strips of neewspaper dipped into a flour and water mixture is all it takes. 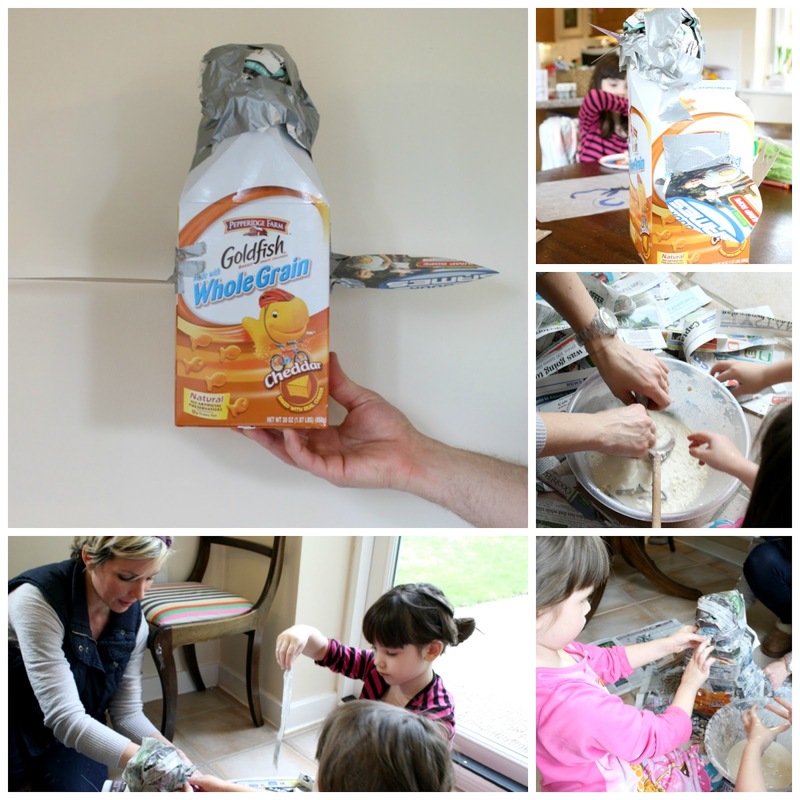 Have you ever made a pinata? Same thing. HERE is the no-cook & no need for wall paper paste paper mache recipe. After it dried for a day the kids painted it. They are still playing with it, so I guess it was a good project. And free----free is key. And theeeennnnn you could get the kids to help you make homemade chocolate truffles. They can do the mixing and the rolling. We followed our favorite chef, the lovely Jamie Oliver. I like following Jamie because he's no fuss, no super duper complicated recipes---and seems like a cool dude. Hopefully these activities give you some ooomph for the day ahead. Everything is kid tested. I have some sewing tutorials for kid pajamas coming up and also some recent garment making news to share. Wow, what a fun place to live, in your house. Wish I had a truffle. omg, why have I never used a melon ball scoop to make truffles before, genius, we just get covered in chocolate here :-) Love the art projects too!